It’s not always easy to say goodbye to something that is so 20th century, yet still one of the most reliable systems in existence – and landline phone systems are one such thing. Considering the continuously improving quality and cost-friendlier pricing of VoIP systems, maybe it is time to move into the cloud and operate a phone system with less hassle and more importantly, less cables. 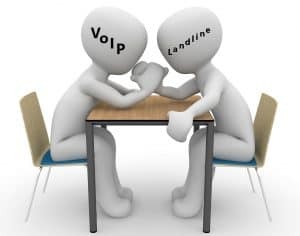 If you still have doubts, or you just want to learn about the differences between VoIP and landline systems, read this guide and you can find out more about the pros (and the inevitable cons) of VoIP. You can also find info about the overall quality and security of cloud phone systems, and what steps you should consider making before giving VoIP a chance. Despite being the obvious future of telephony, VoIP still has many things to improve. One such thing is reliability: traditional phone cables are only occupied by telephone traffic, therefore you can expect less outages – compared to the internet which is used by VoIP and an increasing number of other applications and devices. Furthermore, telephone cables also serve as power sources for certain devices, meaning that they can remain active even if the main power source goes down. Plus there is the apparent incompatibility of home security systems and VoIP: providers of both the former and the latter recommend keeping a landline for this as it helps 911 determine where the call comes from, and, like we said, it remains active unless the cables are physically damaged. However, what landline systems can’t do is be affordable, which is a huge aspect from both a residential and business point of view: every single feature that usually comes with VoIP (like call forwarding, toll-free numbers etc.) cost an extra with landlines. VoIP, on the other hand, always offers plenty of features for its money with additional functions as available extras. Furthermore, it occupies less space: internet and phone traffic goes through the same line, thus all you need to do is hook up your phones and computers to your phone system and you can place/receive calls. 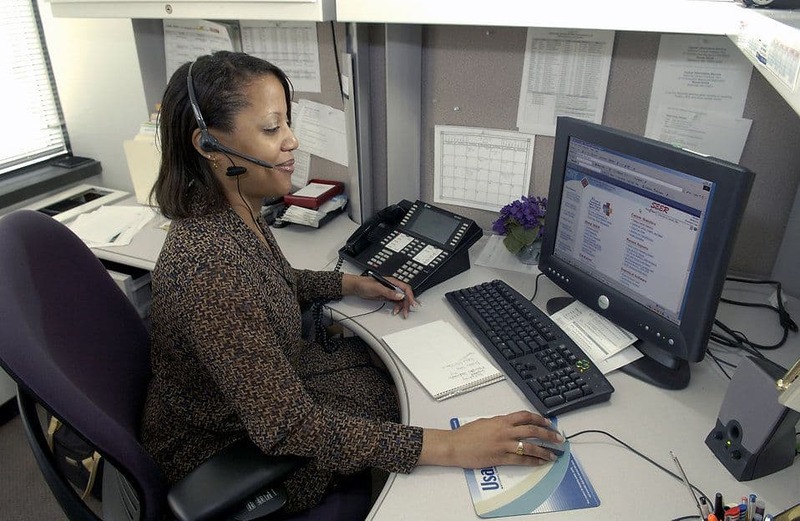 VoIP also allows you to use your computer and your smartphone as part of your system: the former only needs a softphone while the latter needs an internet connection and an app to act like one of your desk phones. 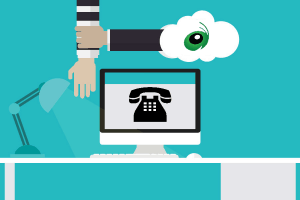 One big concern customers have against VoIP is security. With landlines you only have to worry about physical damage, being harassed by unwanted callers and bad signals. VoIP, on the other hand, has the same problems as any device connecting to the internet: one such thing is being vulnerable to hacker attacks. We wrote an entire FAQ article regarding this matter, but to quickly recap it, you need a good router password, a firewall, a strong antivirus program, a VPN (albeit this is an extra safety layer) and you must unplug unused devices. If you keep in mind the above, your VoIP phone system won’t be vulnerable to malicious intents anymore. Another huge concern is the quality of calls. Like we said, landline calls have bad quality if the cables are damaged or the signal is bad. If you have a virtual phone system, and you don’t own a reliable, high-speed internet connection, your calls have to deal with heavy internet traffic: the more traffic goes through your internet cable, the worse call qualities get which manifests in lagging, freeze-ups and voice distortions. This is why VoIP uses the UDP protocol (and not the standard TCP): to keep the stream of information uninterrupted. Aside from keeping your old cables just in case of an emergency, the most important step in switching to VoIP is to keep your old service running until your new virtual phone system is ready. This is crucial, because the process usually takes more than just a few days, especially if you are porting your number; in this case you get a temporary number to which you can direct calls until you get your old number back. You should also consider replacing your devices if you have non-VoIP phones (even though companies will send you adapters), otherwise you only need to reconfigure your desk phones. Speaking of configuration, it’s something that is completely up to you: aside from the cloud space provided by your VoIP company, you have to set up everything else for yourself from extensions, users, integrations, softphones and, in some cases, the app coming with your subscription.